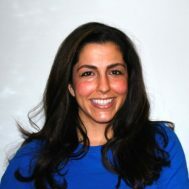 Neda Bolourchi, JD, PhD is a research associate at the Interdisciplinary Center for Innovative Theory and Empirics (INCITE) where she examines issues pertaining to religion, the state, and law. Her countries of focus are the U.S. and Iran. She is also at work editing her dissertation, "Contending Visions of Iran" (Columbia University 2017). Her previous publications on Iran appeared in various Jane's and Praeger Security outlets.